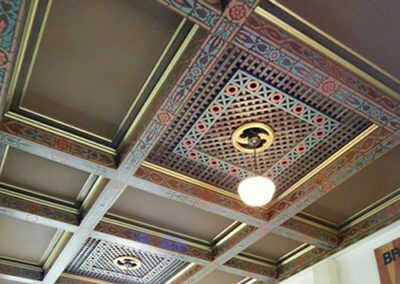 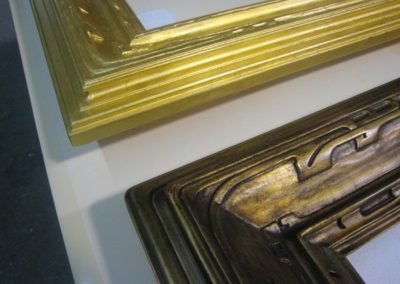 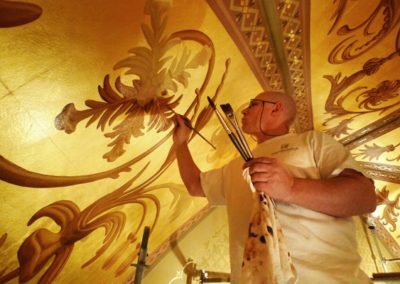 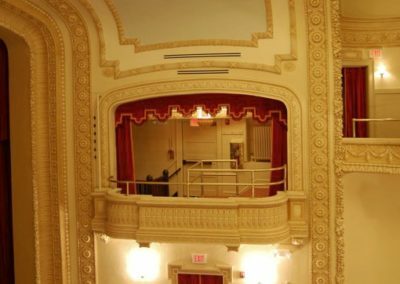 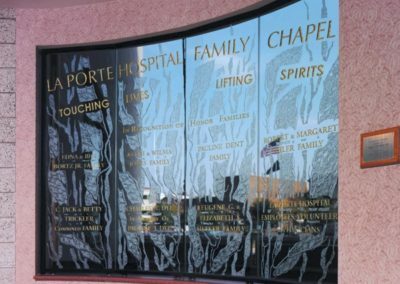 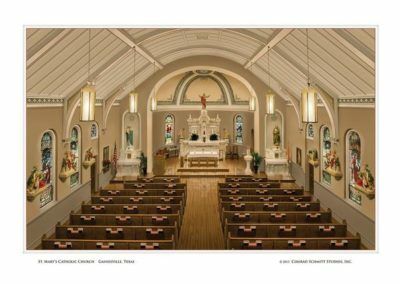 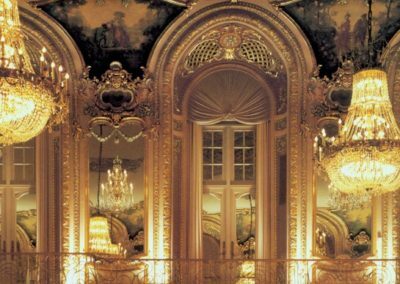 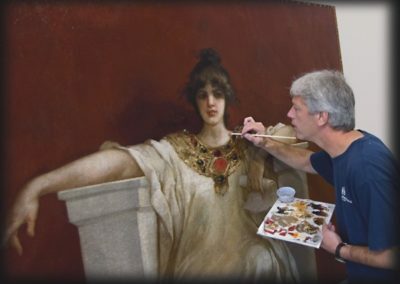 Conrad Schmitt Studios is proud to provide full-service custom decoration and restoration. 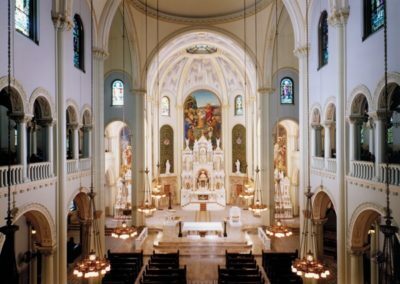 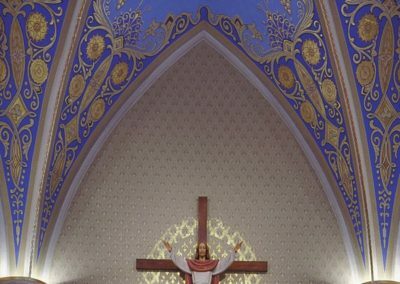 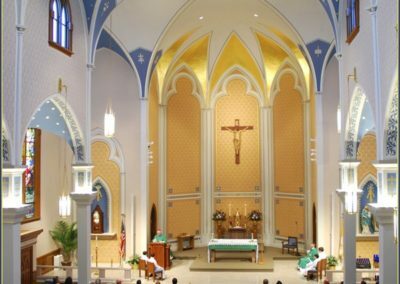 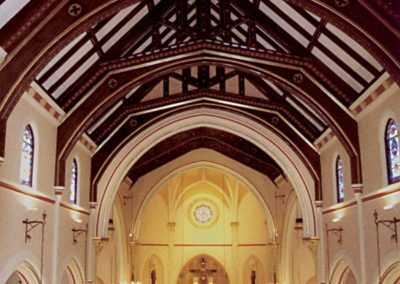 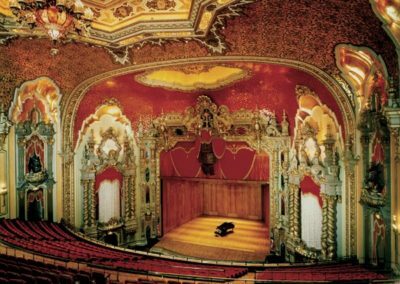 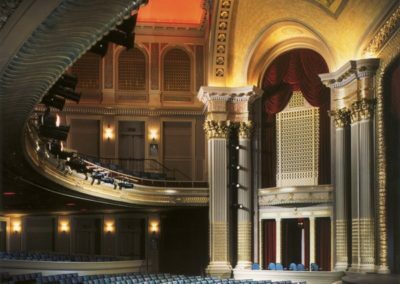 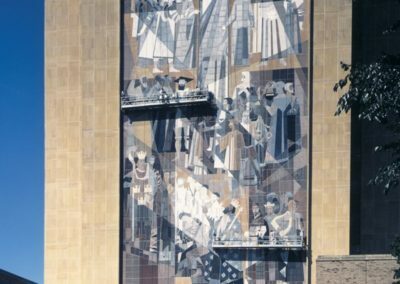 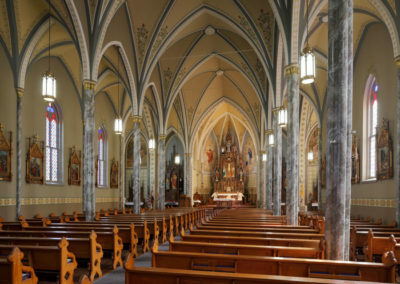 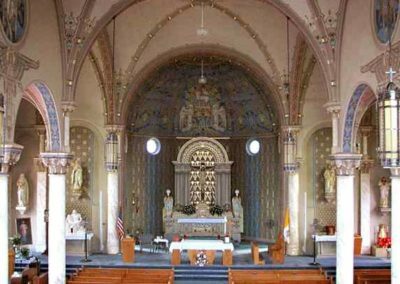 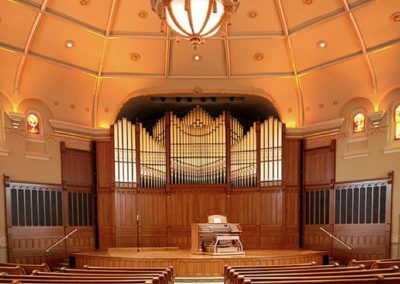 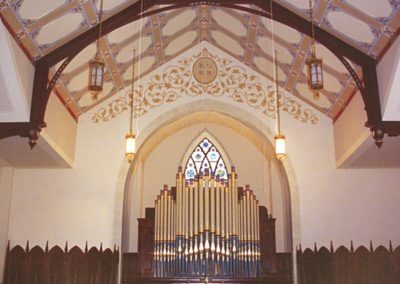 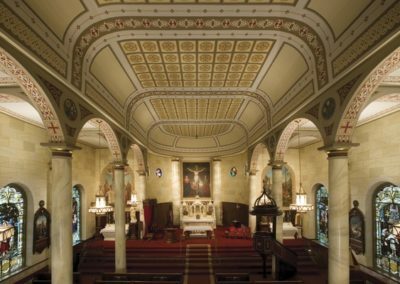 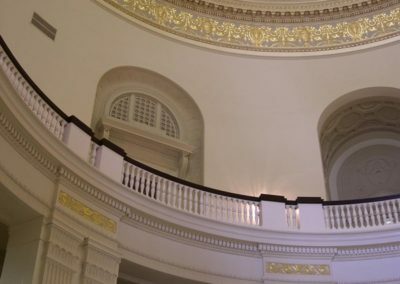 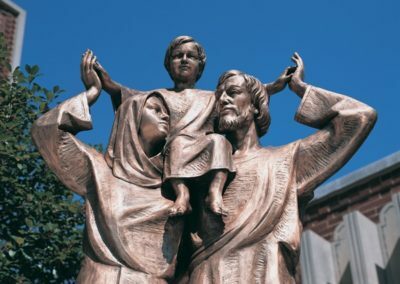 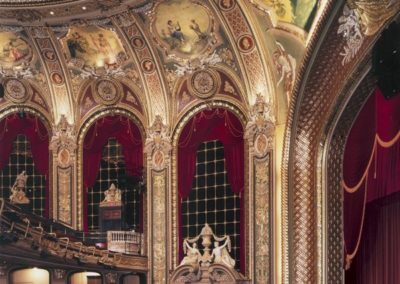 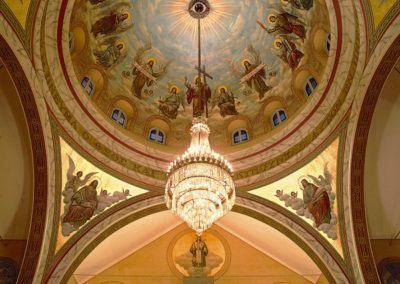 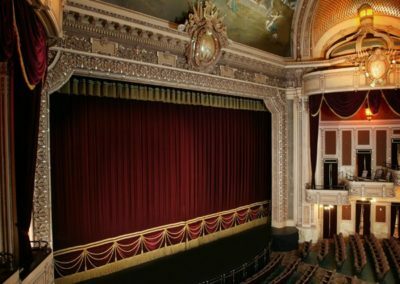 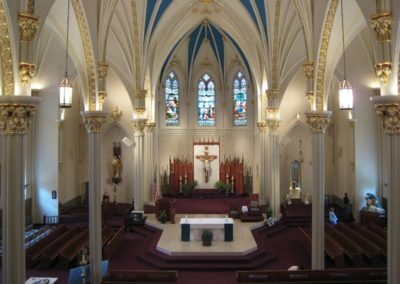 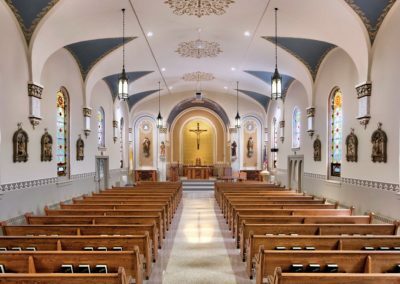 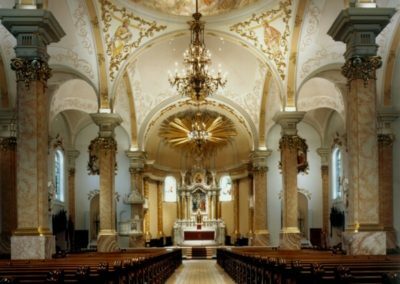 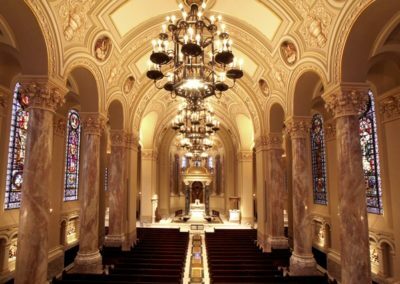 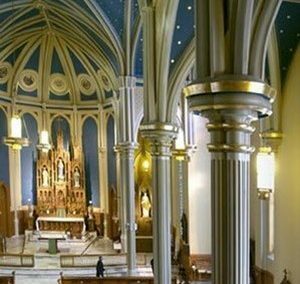 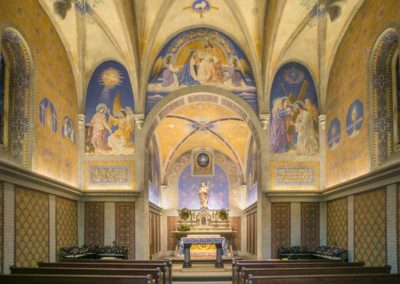 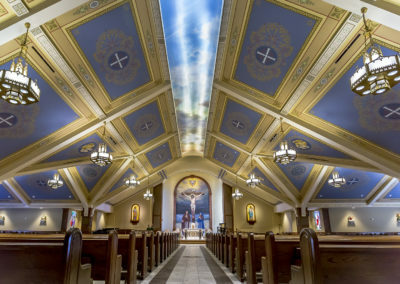 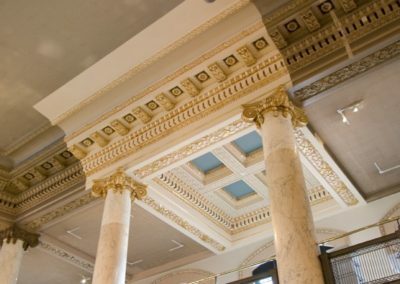 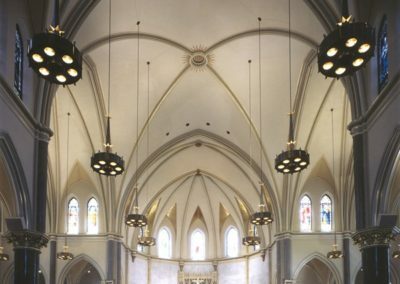 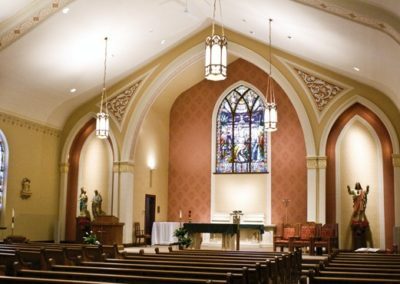 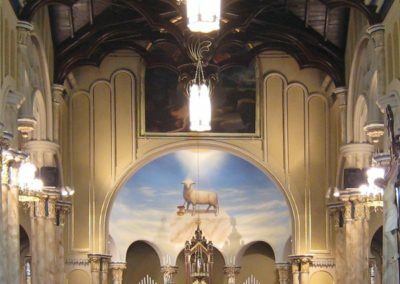 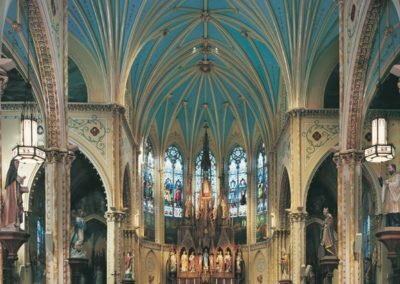 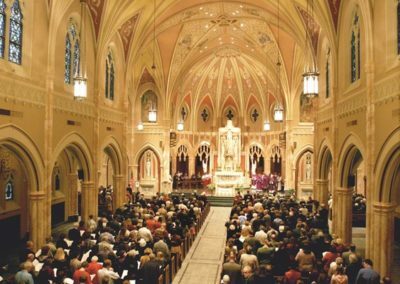 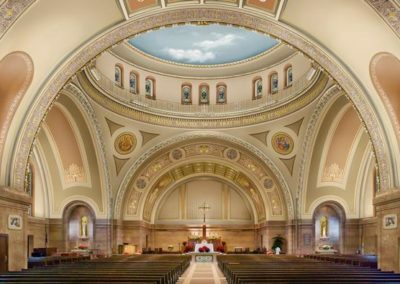 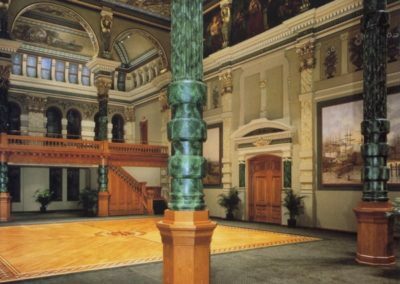 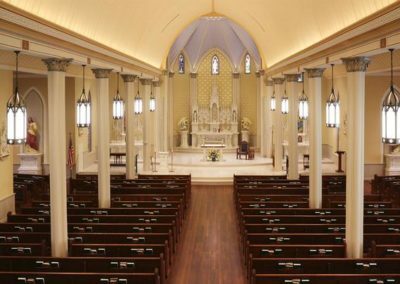 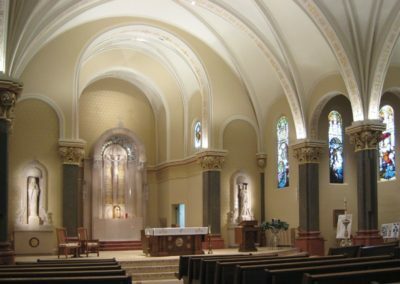 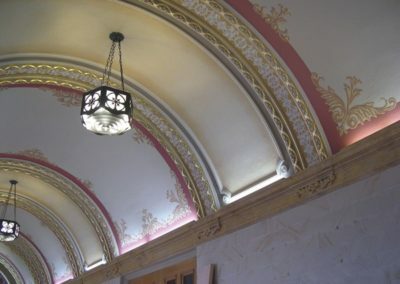 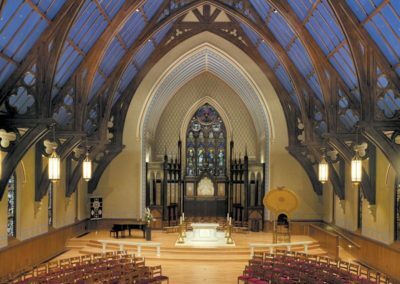 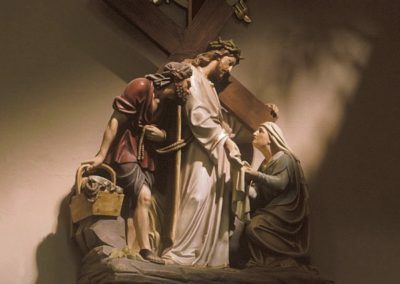 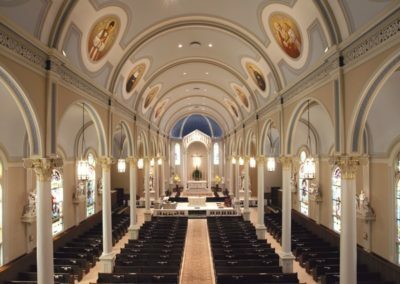 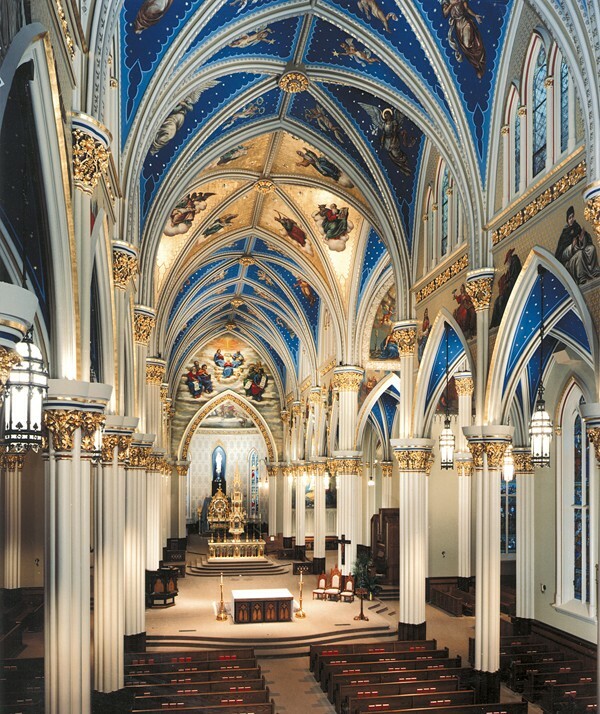 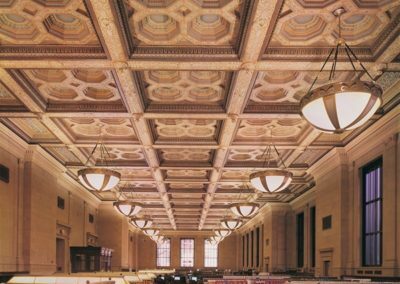 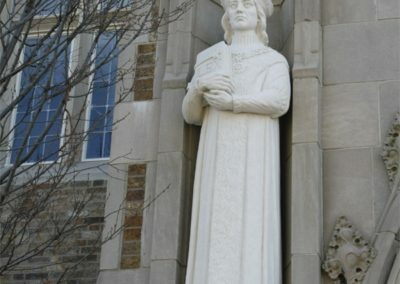 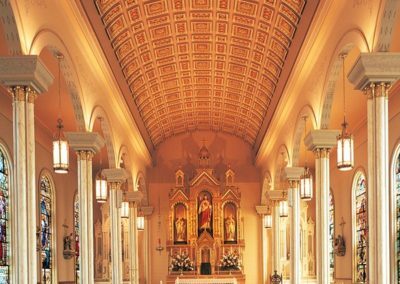 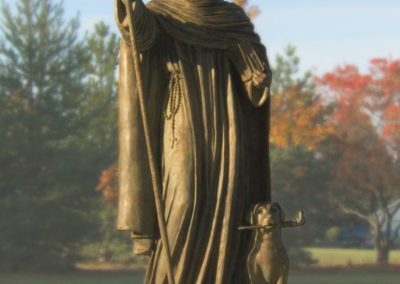 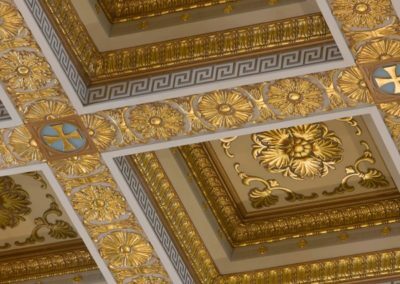 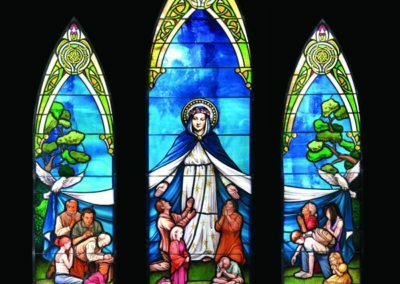 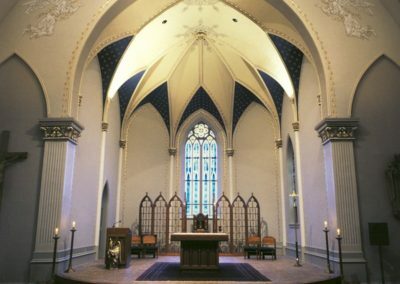 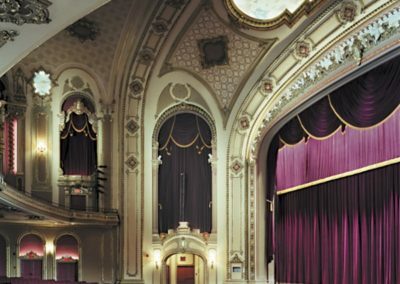 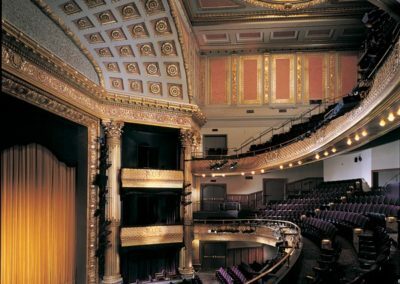 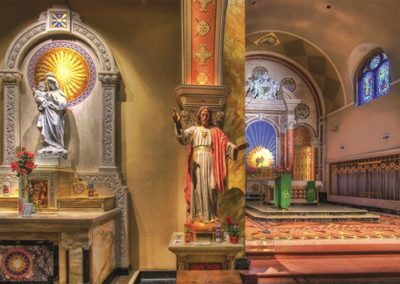 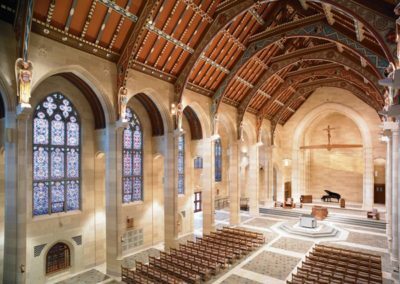 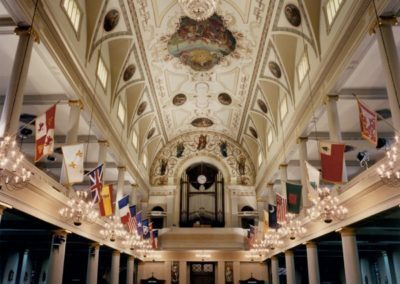 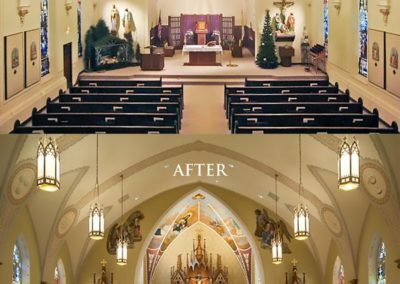 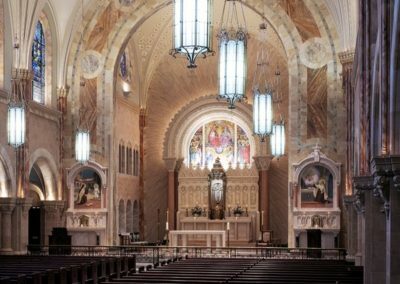 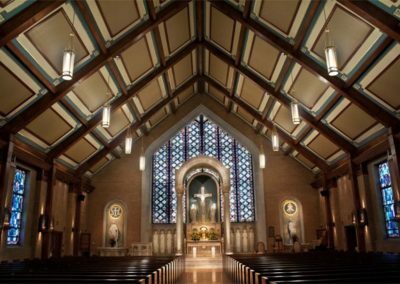 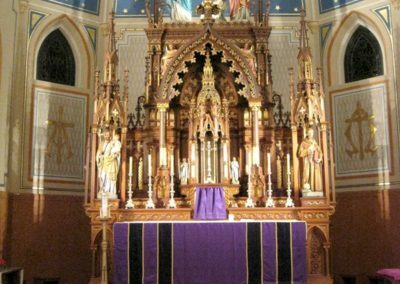 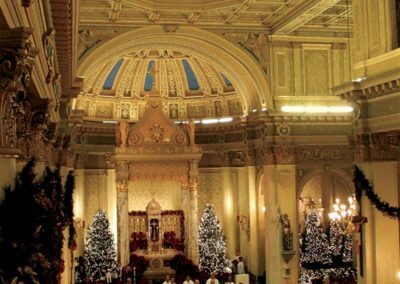 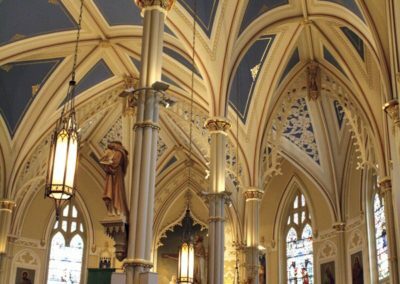 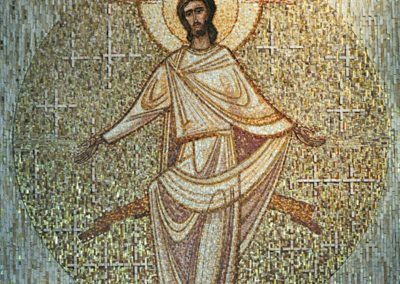 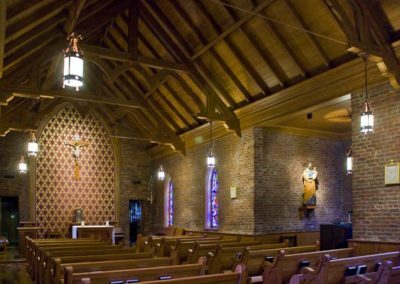 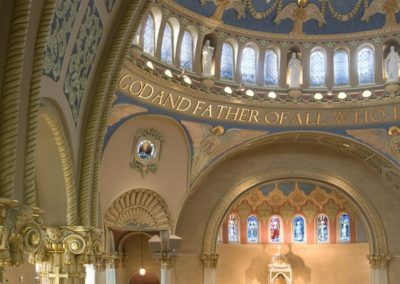 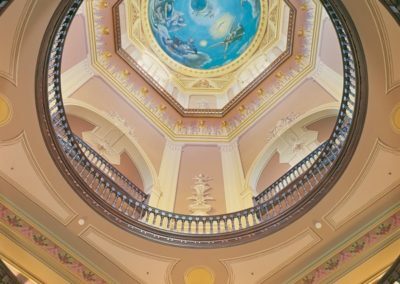 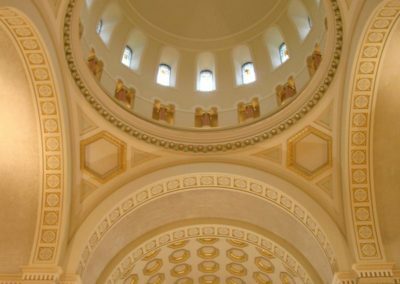 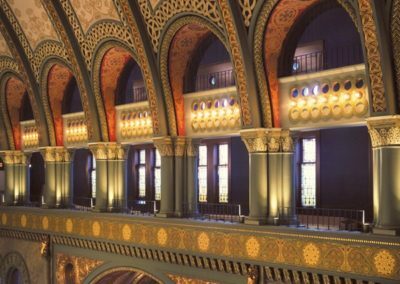 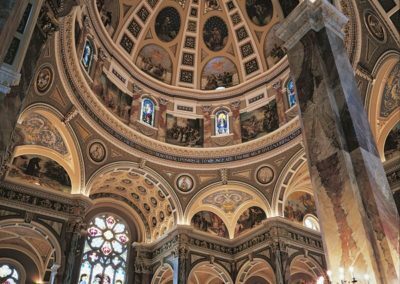 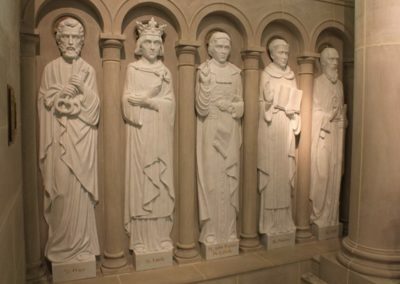 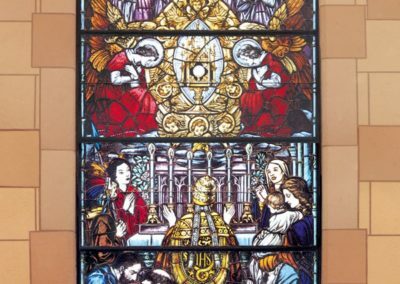 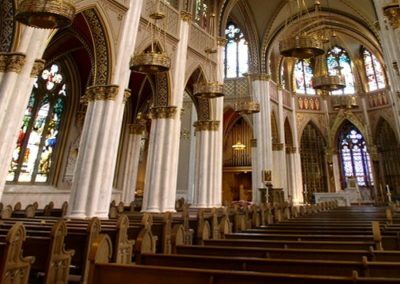 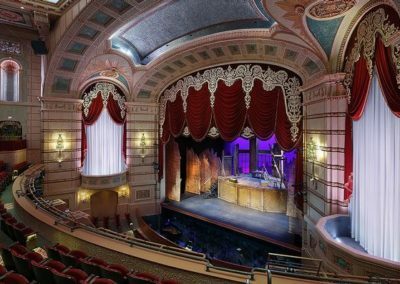 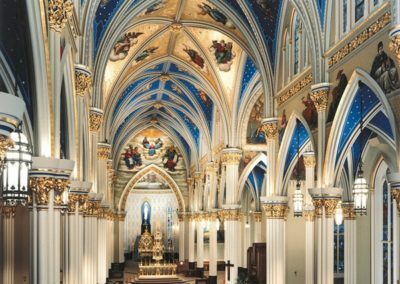 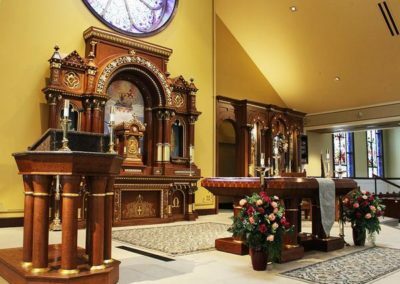 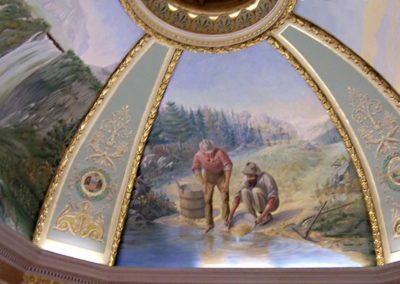 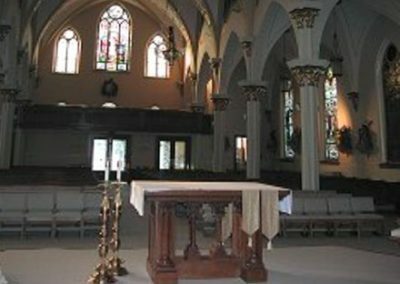 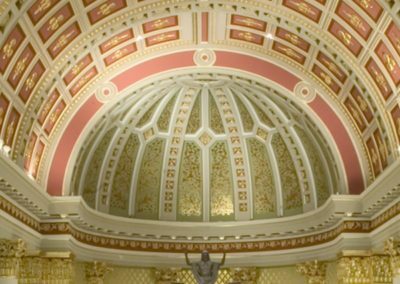 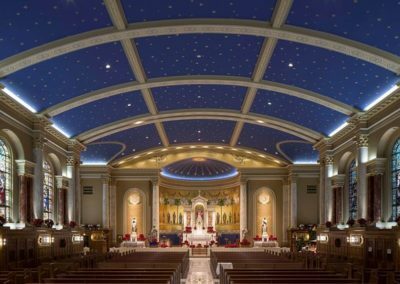 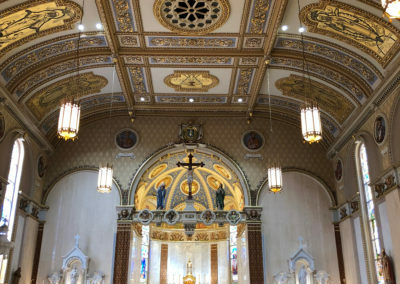 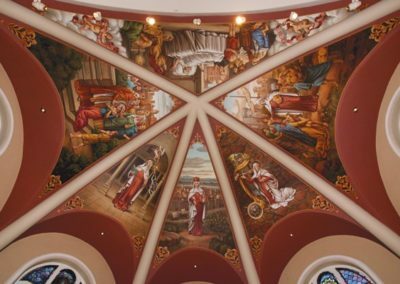 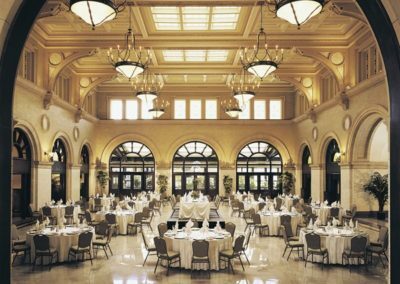 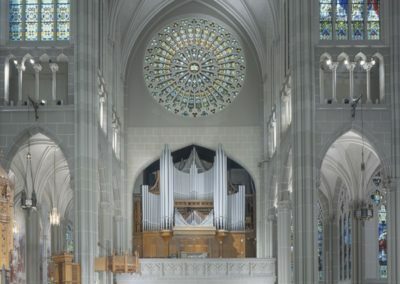 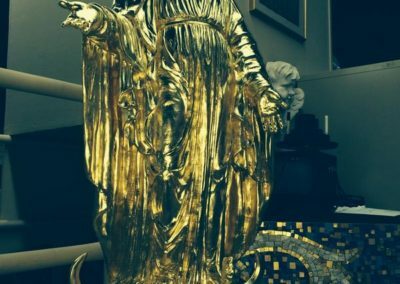 From the Waldorf Astoria Hotel in New York to the Basilica of the Sacred Heart on the campus of the University of Notre Dame, the Studio has been involved in the decoration, restoration and renovation of buildings of architectural and historic significance throughout the United States. 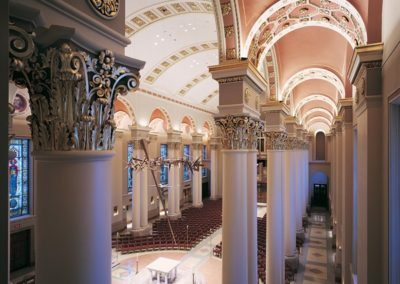 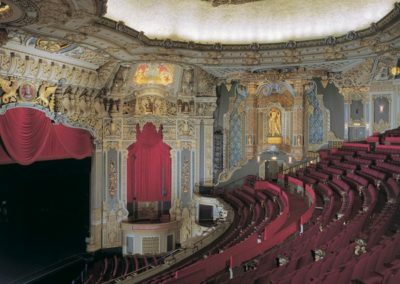 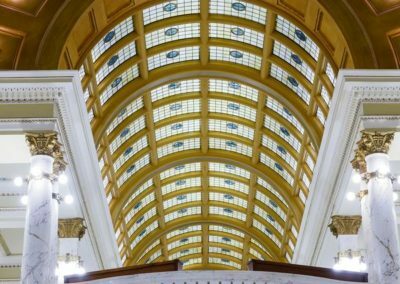 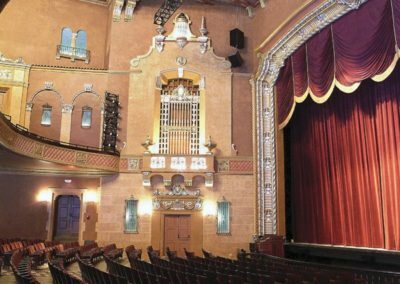 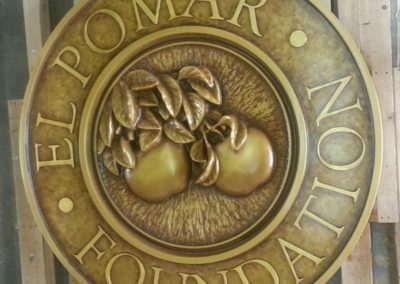 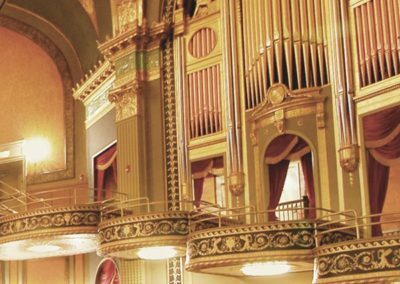 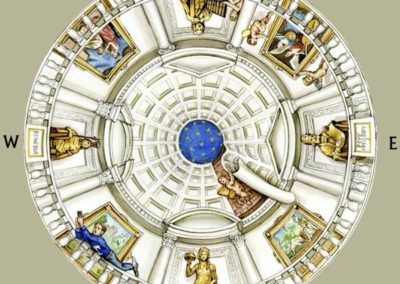 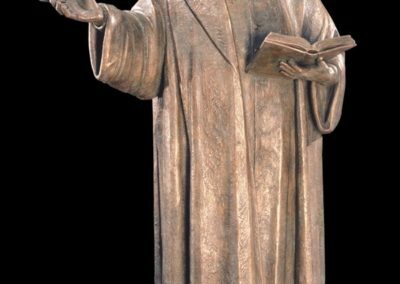 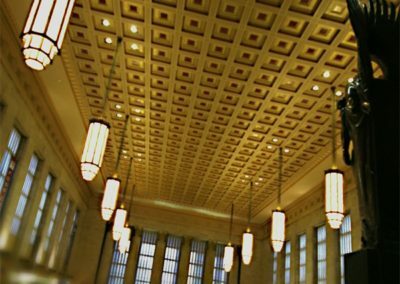 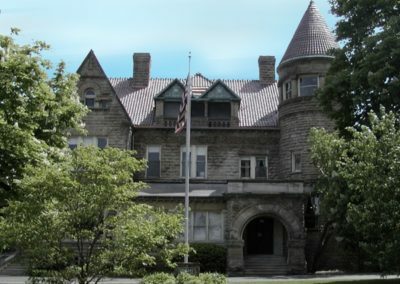 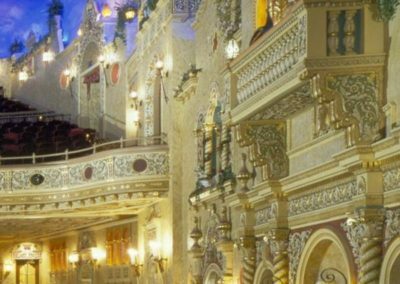 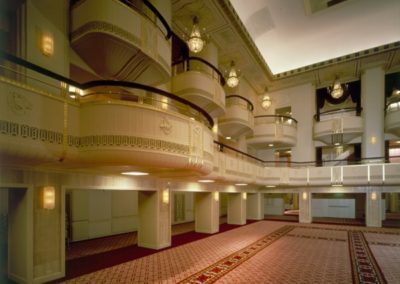 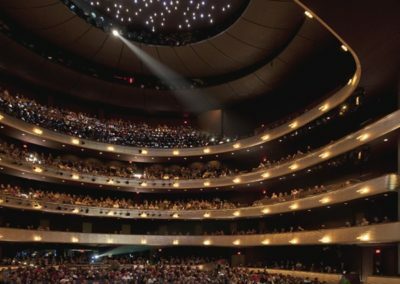 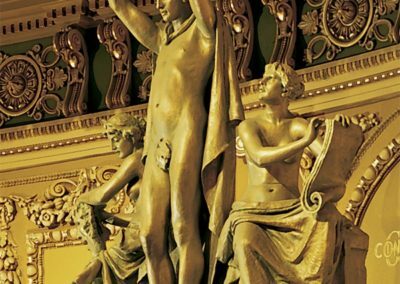 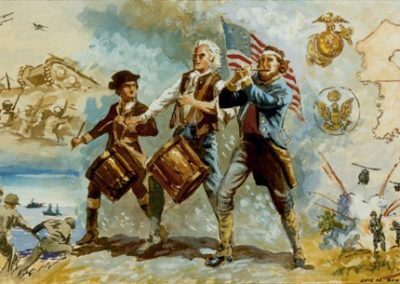 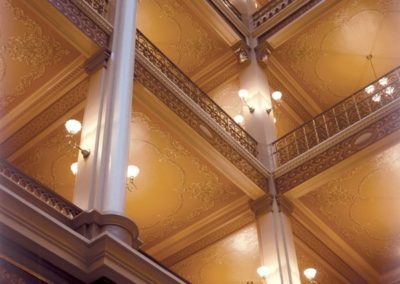 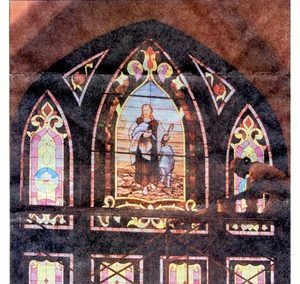 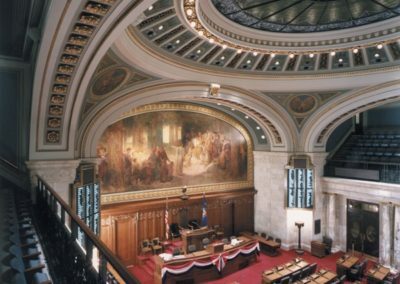 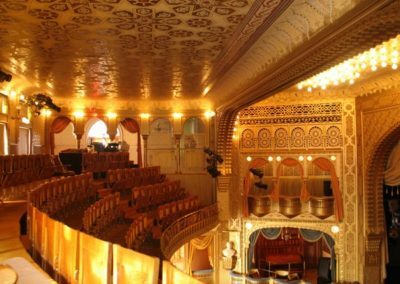 Projects include churches, theatres, hotels, courthouses, state capitols and other public and private structures since 1889. 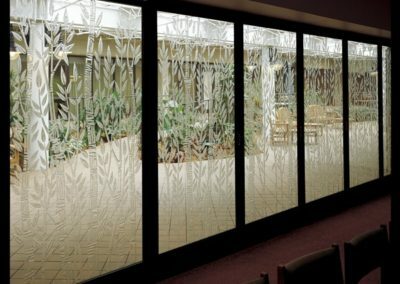 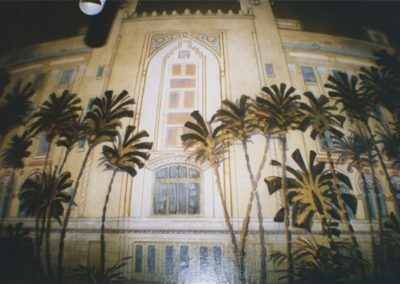 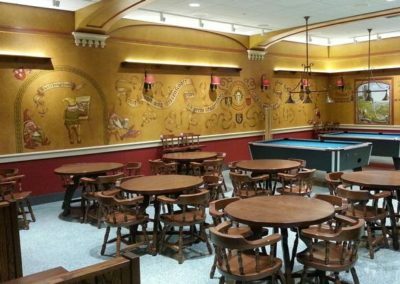 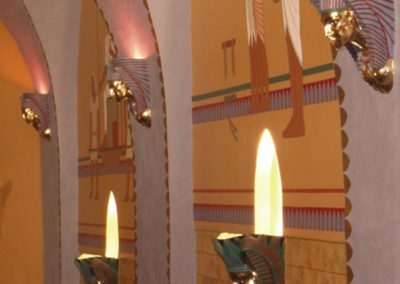 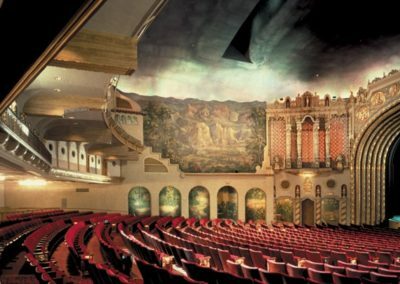 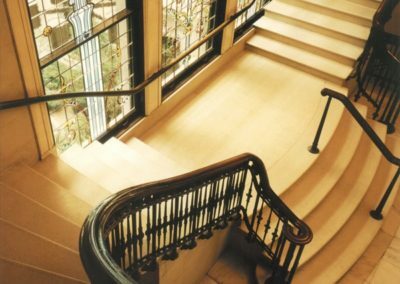 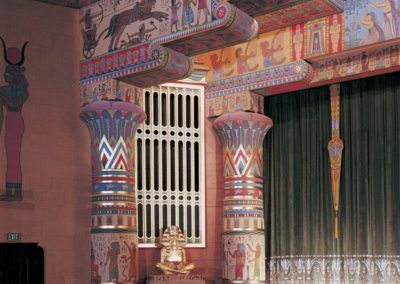 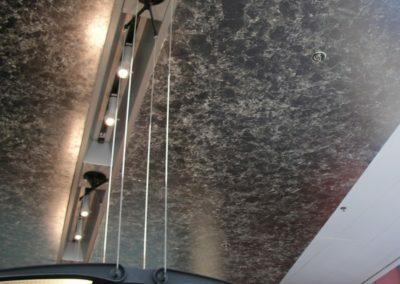 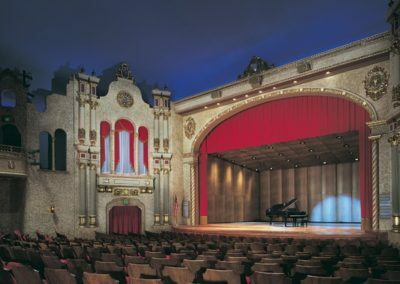 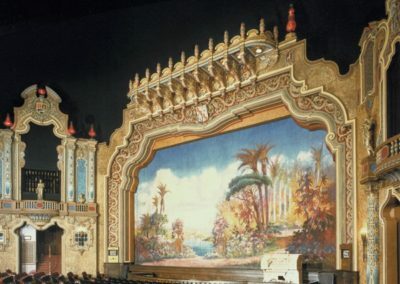 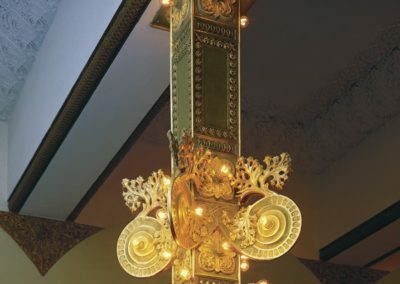 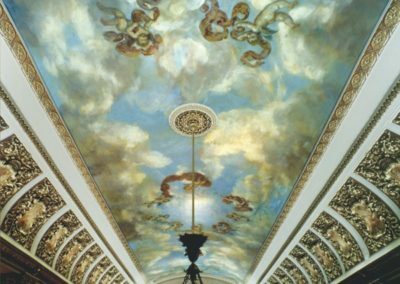 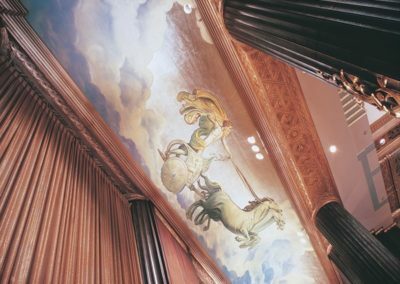 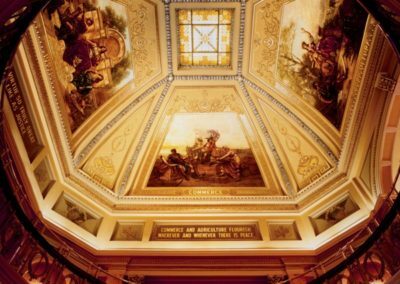 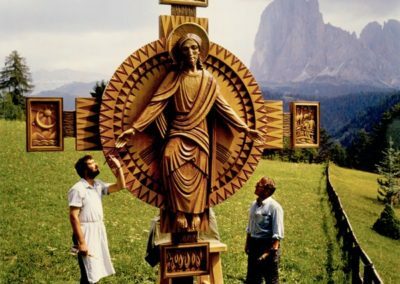 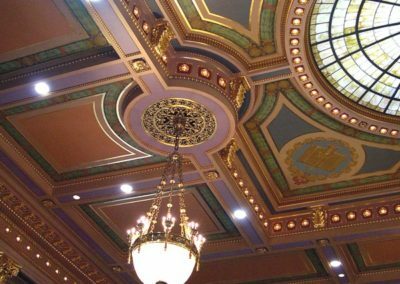 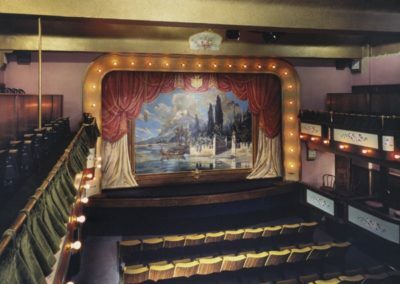 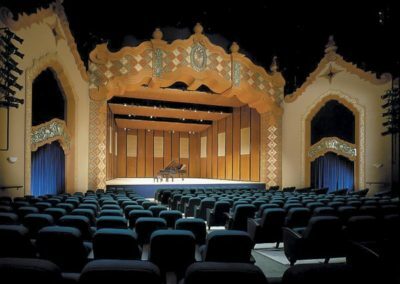 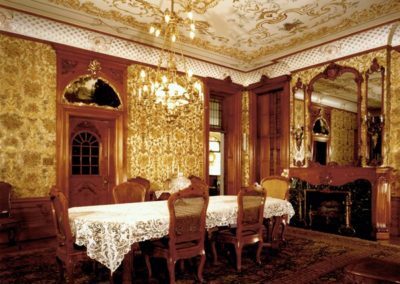 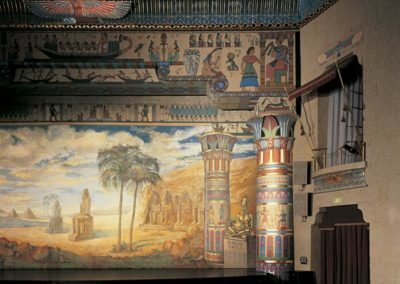 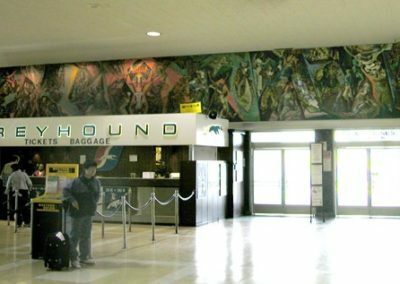 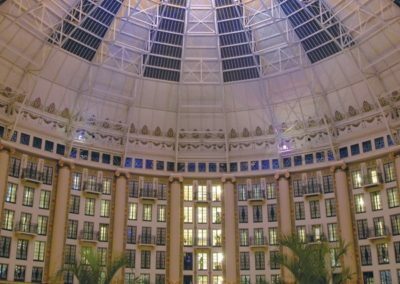 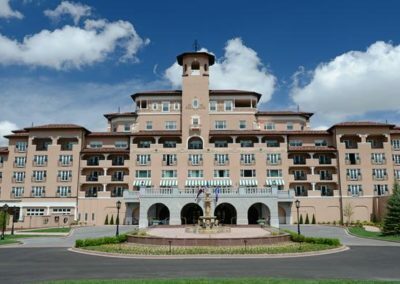 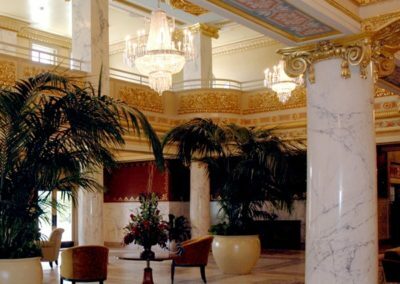 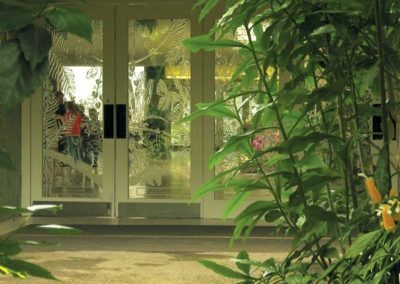 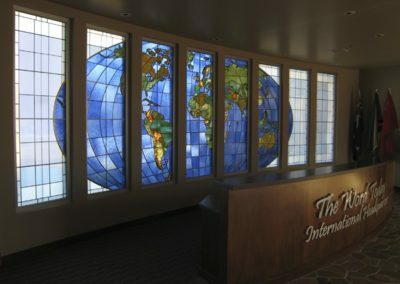 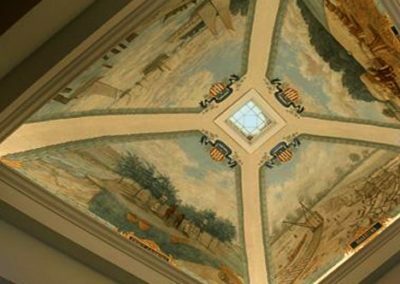 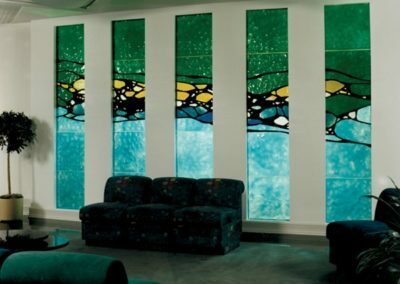 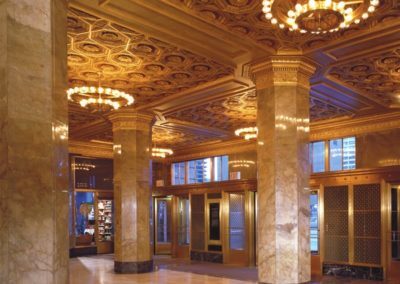 More than 120 years of experience make Conrad Schmitt Studios uniquely qualified to provide solutions in a variety of media – from the documentation of original decorative schemes to gilding, glazing, marbleizing, stenciling and trompe l’oeil. 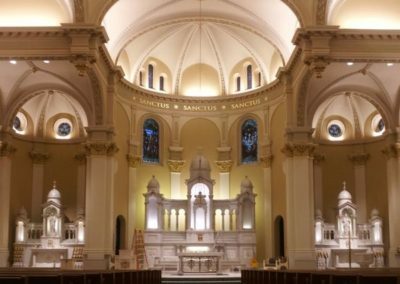 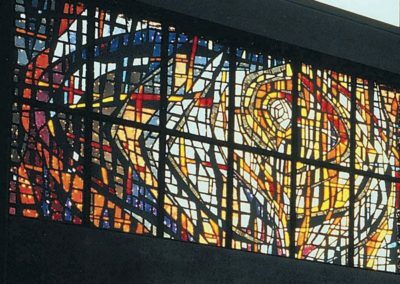 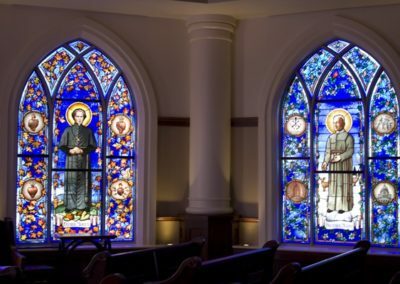 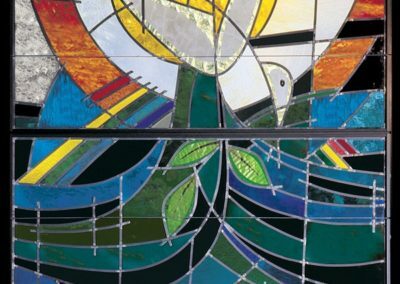 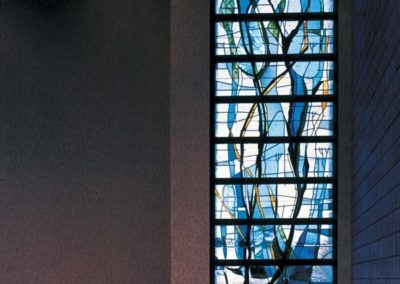 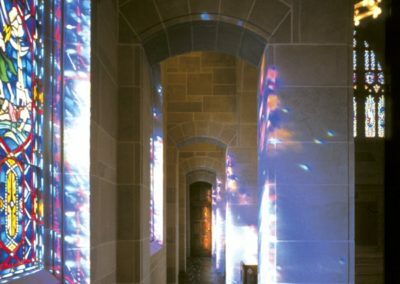 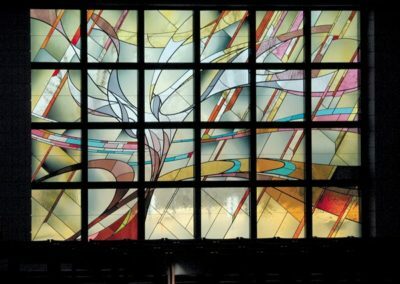 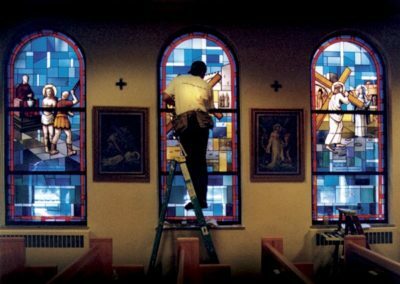 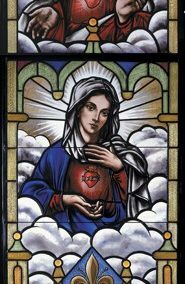 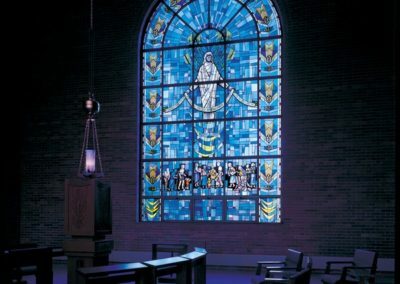 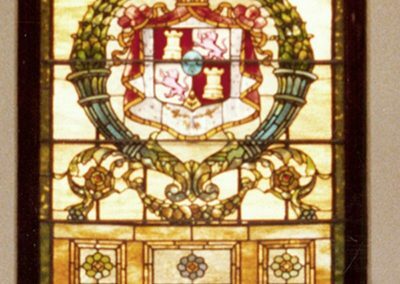 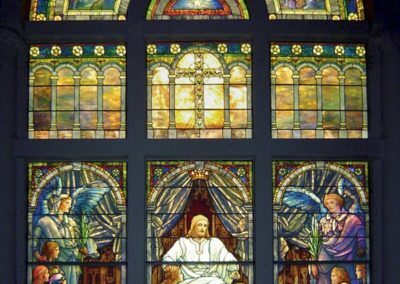 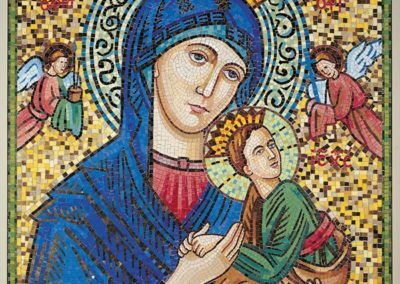 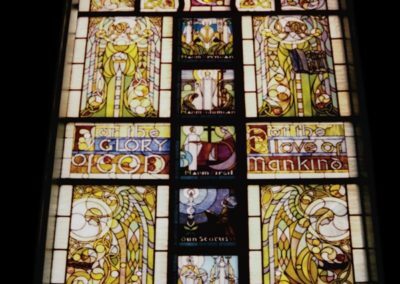 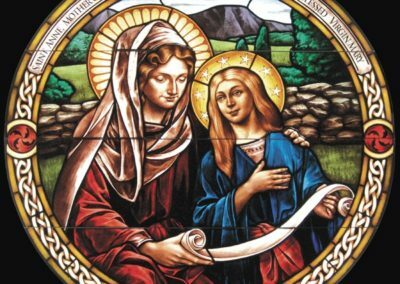 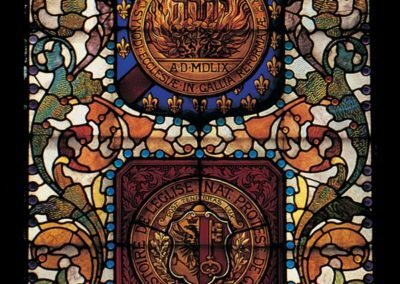 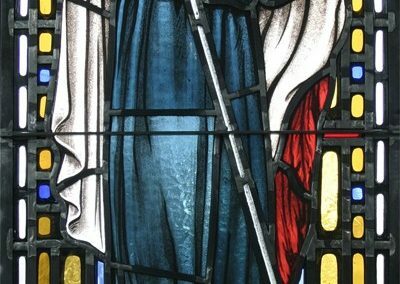 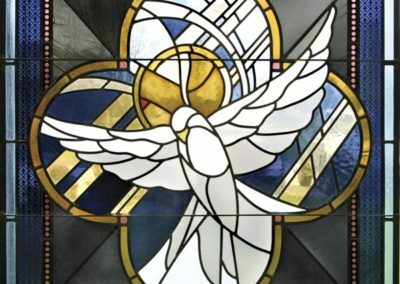 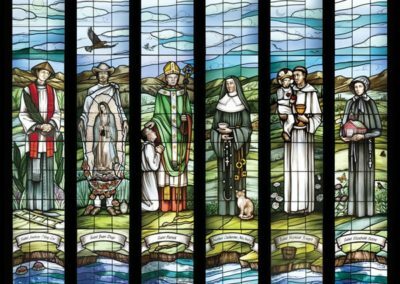 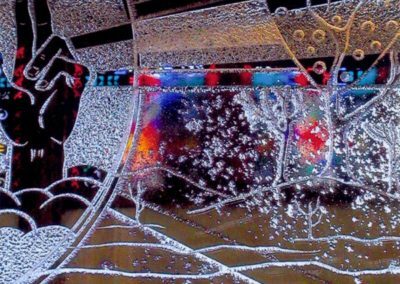 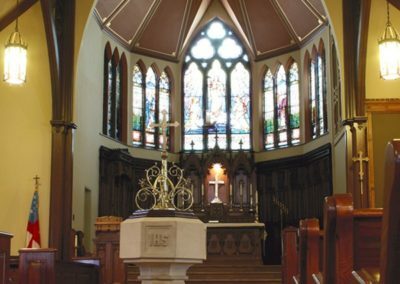 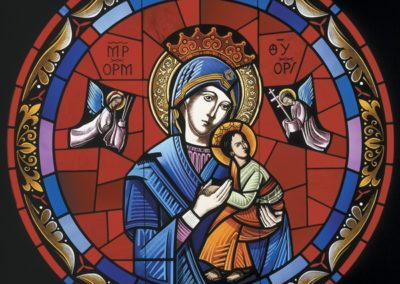 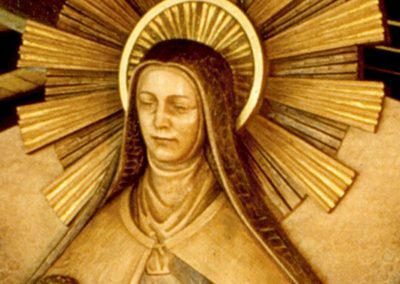 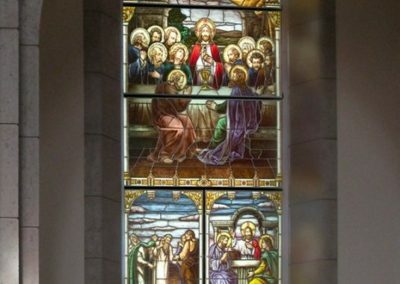 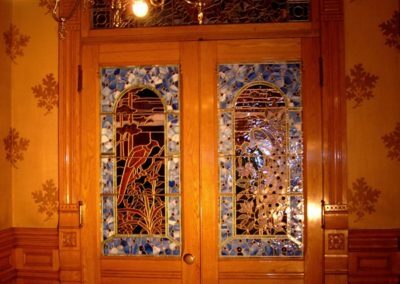 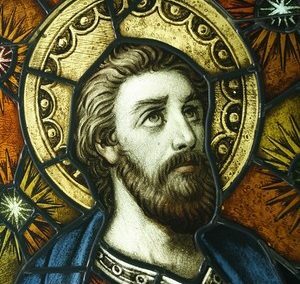 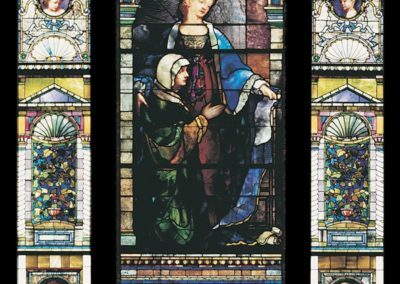 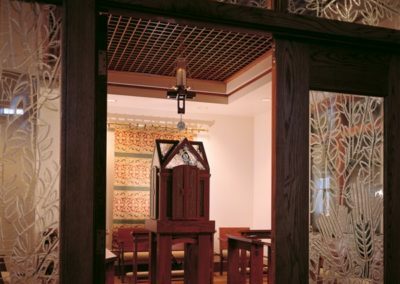 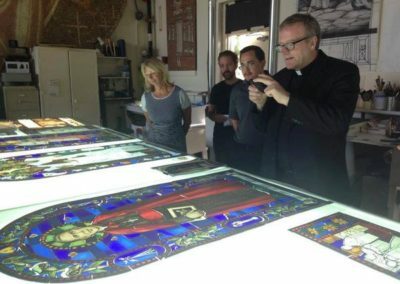 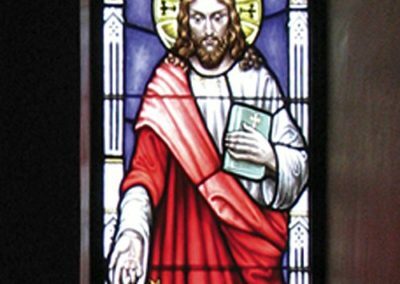 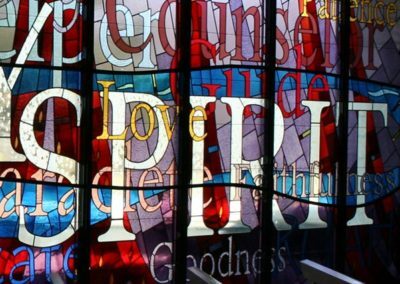 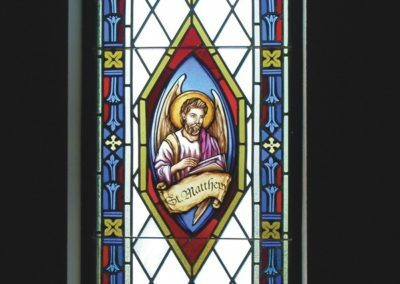 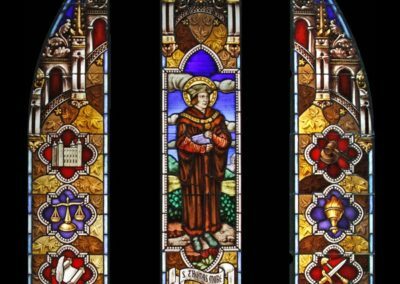 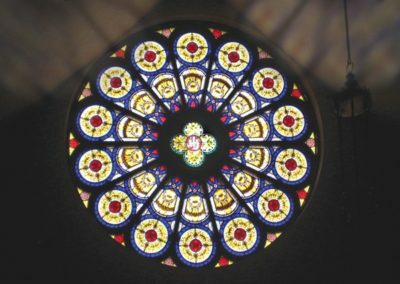 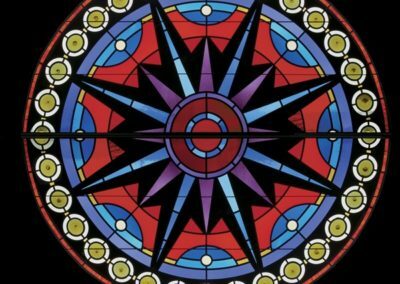 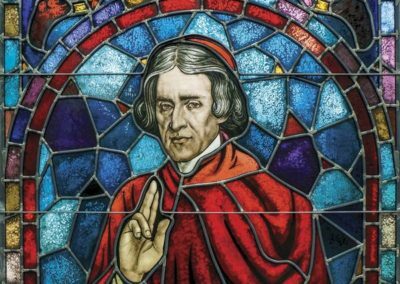 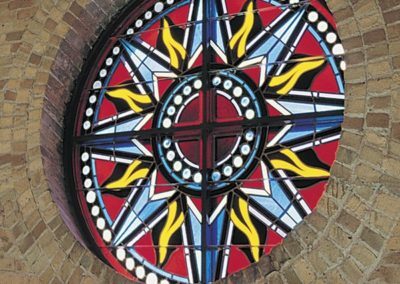 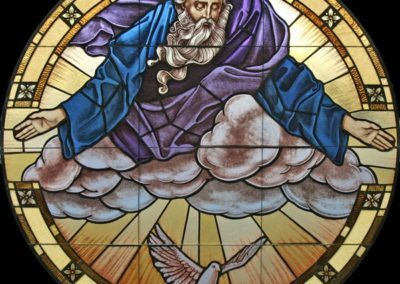 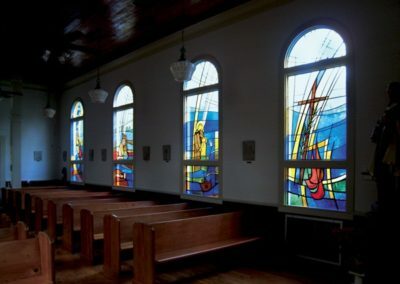 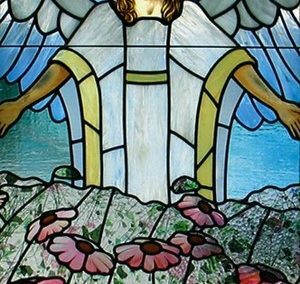 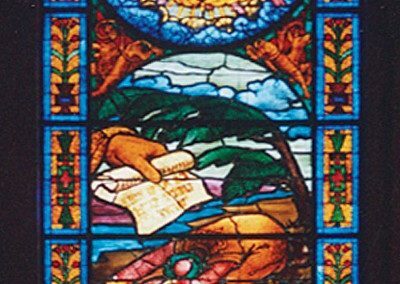 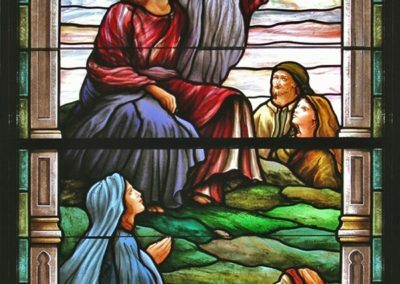 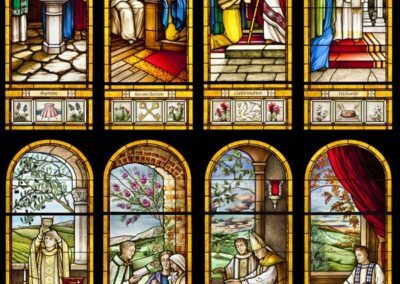 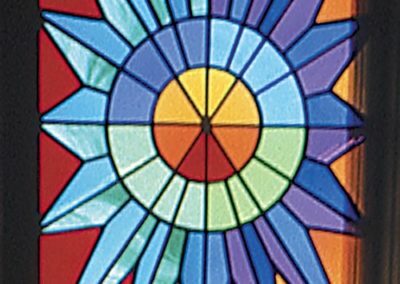 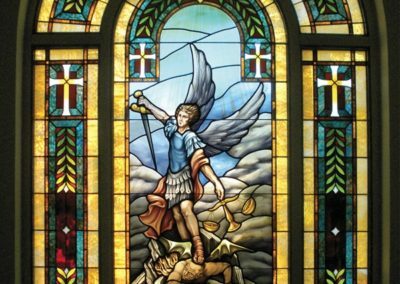 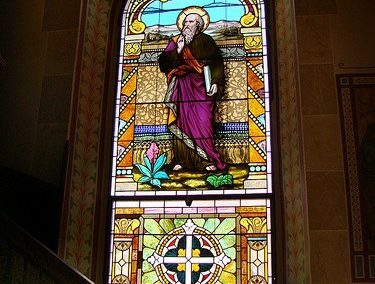 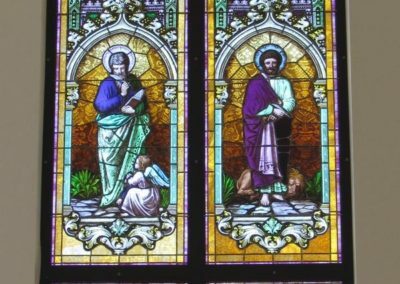 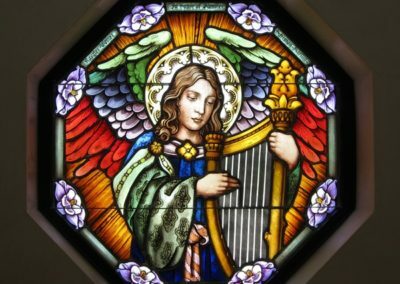 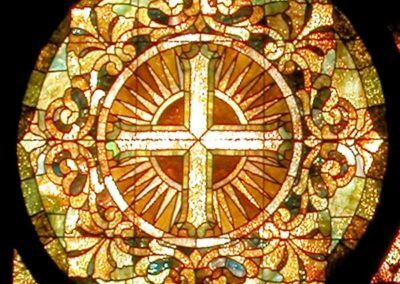 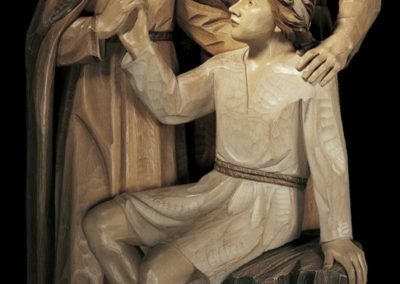 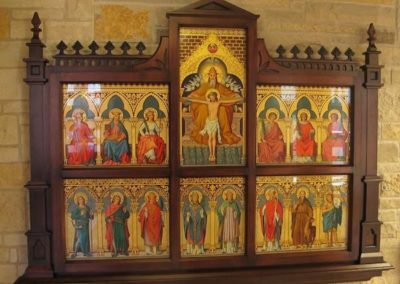 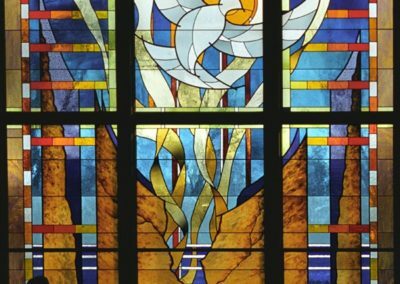 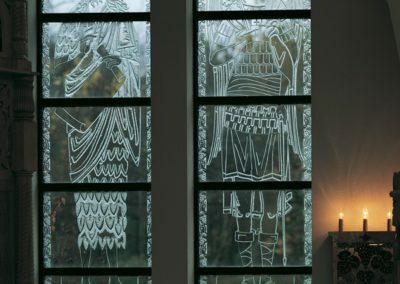 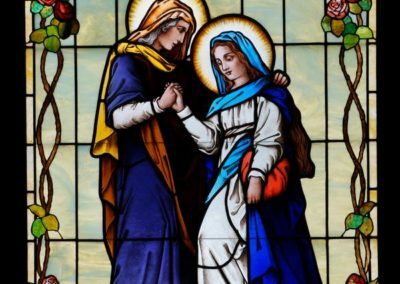 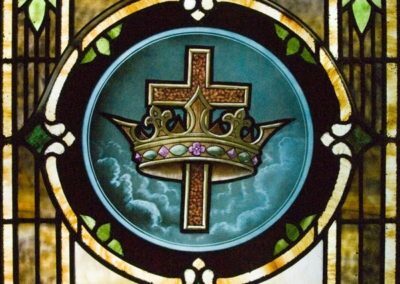 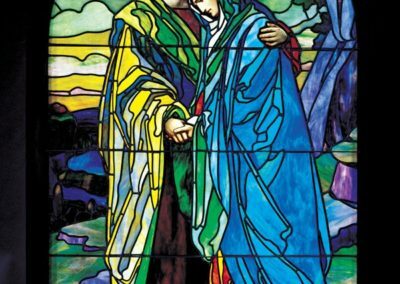 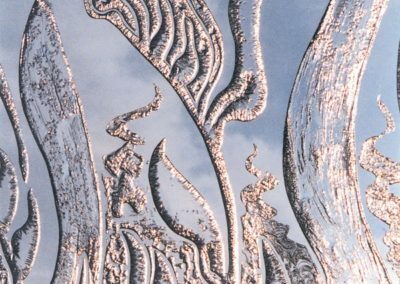 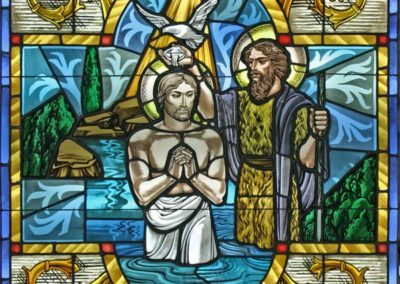 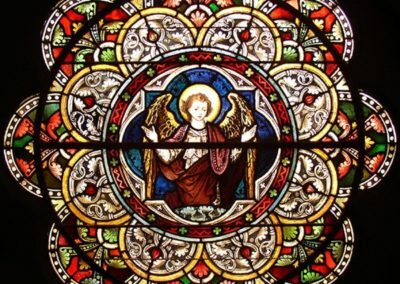 Whether it is the design and fabrication of a single stained glass window or the restoration of a monumental cathedral, the Studio’s artisans and craftspeople bring unparalleled skills to each project. 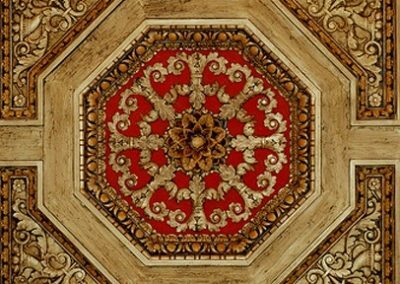 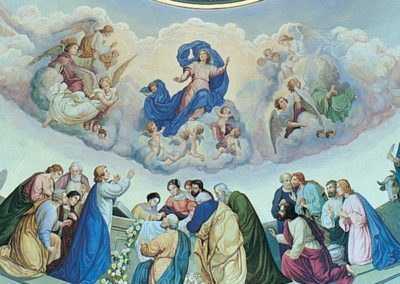 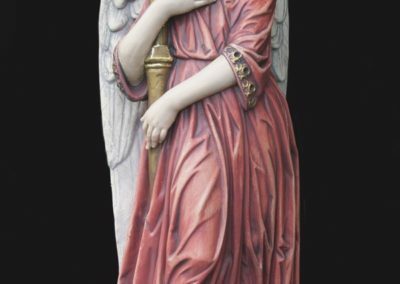 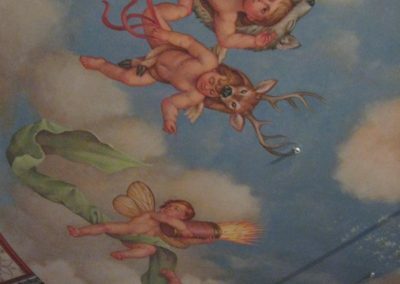 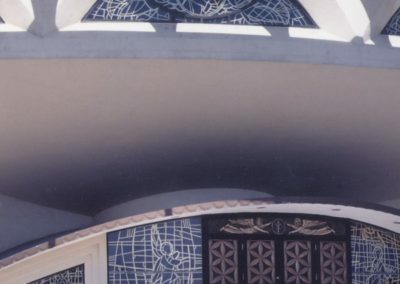 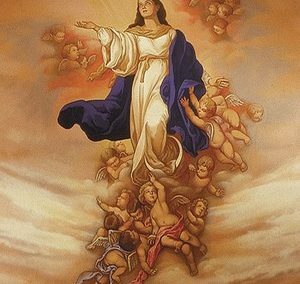 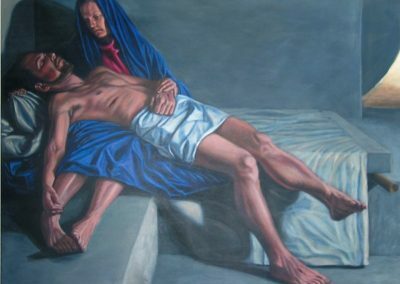 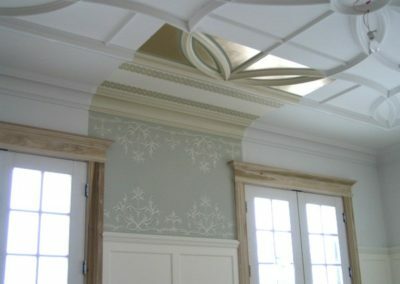 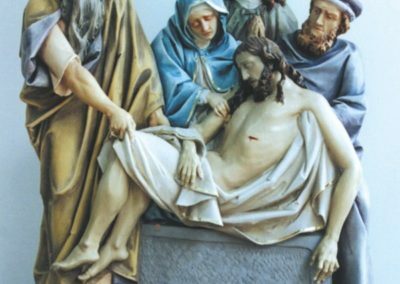 Select a service below to sort projects by technique used in decorative painting and restoration.